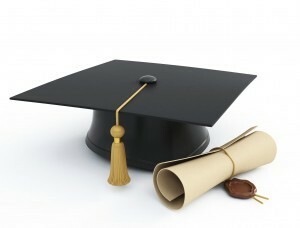 Home › FAQ › What is the Difference Between a Bachelor of Arts and a Bachelor of Science? Prospective college students trying to select a program must know the major difference between a Bachelor of Arts and Bachelor of Science degree. Both the B.A. and B.S. are types of undergraduate degrees mostly offered at four-year public universities or private colleges. However, the two degrees offer curriculum paths that allow students different approaches to learning about a chosen field of study. One degree does not necessarily trump the other. B.A. and B.S. programs simply allow students to choose which aligns better with their interests and future career goals. In the following article, we will discuss the key differences between bachelor’s degrees to help you determine which one is the ideal fit for your future. Bachelor of Arts programs are typically geared towards undergraduate students seeking a more broad-based education to build a strong foundation in the liberal arts. B.A. programs include a broad sweep of courses in English, humanities, arts, social sciences, and foreign languages with the goal of developing well-rounded graduates. Most B.A. degrees are structured to provide students flexibility in customizing their higher education with more electives and fewer credits directly linked to their major. Bachelor of Arts degrees are most commonly found in majors like history, literature, Spanish, psychology, anthropology, English, music, visual arts, and religion. On the other hand, Bachelor of Science programs are designed for undergraduate students who are looking to delve deeper into studying the technical side of their field. Most B.S. programs are strictly focused on the field’s subject matter, thus requiring more credits concentrated in relevant studies without much room for electives. Students in B.S. programs are expected to focus their academic energy on mastering extremely technical aspects of a field with foundational courses typically in mathematics, social sciences, natural science, and technology. Bachelor of Science degrees are most commonly found in majors like biology, computer science, nursing, agriculture, engineering, business, and physics. Both the Bachelor of Arts and the Bachelor of Science degrees are valued equally in the world of academia, so you simply need to choose which will help you succeed the most. If you’re looking to build communication, writing, decision making, critical thinking, and leadership skills that can be applied to any career or used to enter graduate school, a B.A. may be best. But, if you’re more interested in developing practical skills by taking more advanced courses in a specific scientific-related career area, a B.S. could be a good fit. When choosing between the two types of undergraduate degrees, think about what classes you enjoy most, what you’re most interested in studying, what skills you’re seeking, and what your future career goal is. Regardless of which degree you pick, earning a bachelor’s degree will provide benefits that far outweigh the costs of tuition. Not only do people with bachelor’s degrees earn an extra $800,000 in lifetime earnings on average, but they also have more well-rounded lives and stronger social networks too, according to Business Week. Now that you know the major difference between a Bachelor of Arts and Bachelor of Science program, you can choose the right degree that will help you reach your individual goals for a bright future.